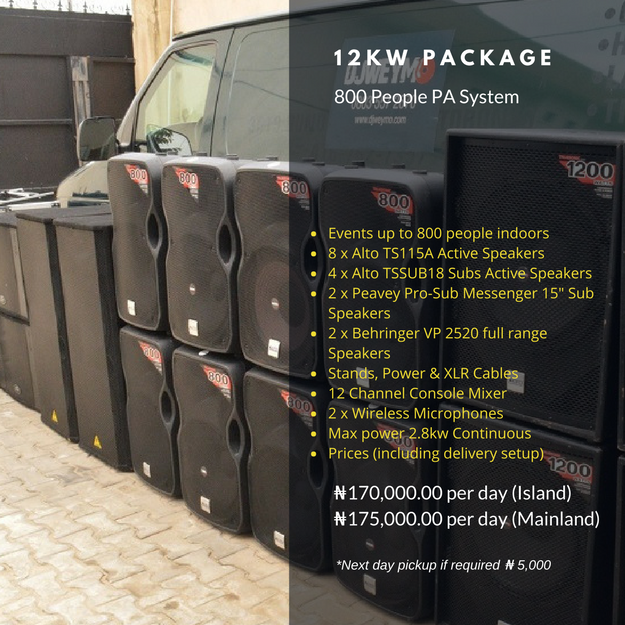 We have on offer a range of PA speakers for hire…We can also provide you with everything you need for party suitable for large scale indoor and outdoor events. 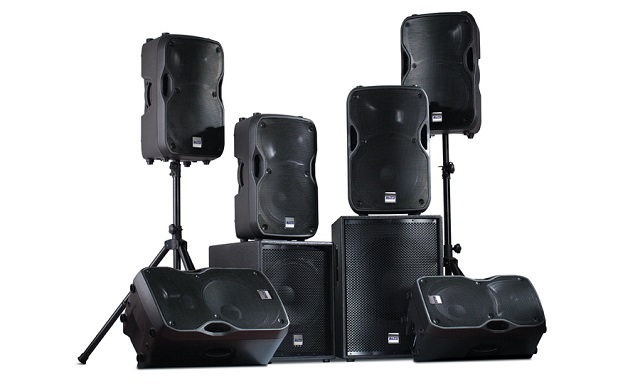 Our PA systems are supplied on a ‘wet’ hire basis. With a wet hire a an engineer is included for the duration of the event. At DJweymo.com our brand of choice for speakers is the Alto Professional speakers range. 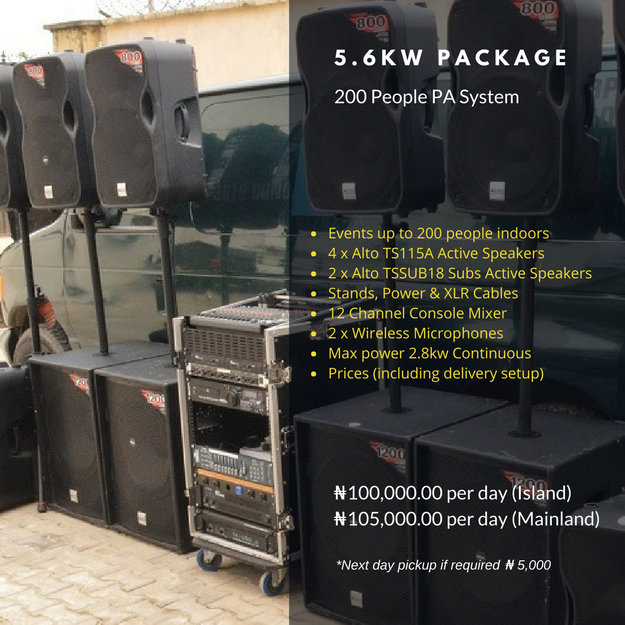 Alto Professional speakers have been around on speaker scene for some time now, have been a major player in the pro-audio music industry. 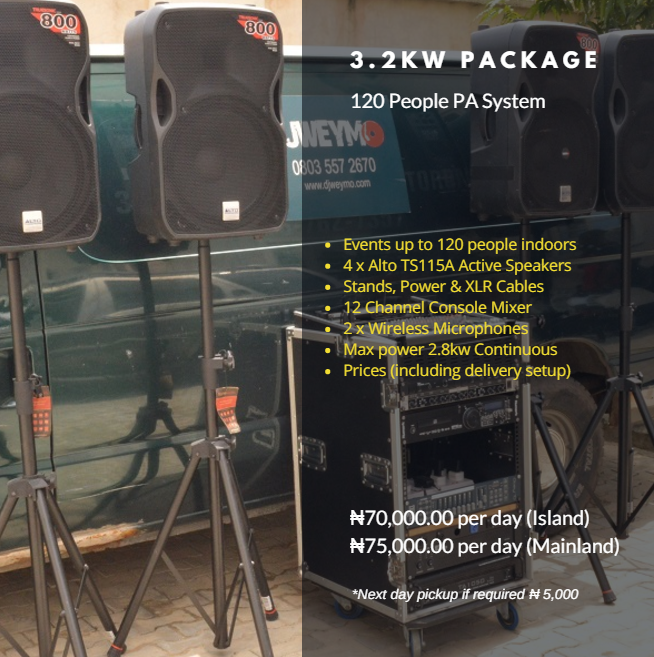 Truesonic is a line of speakers by Alto Professional that comes in a variety of sizes and flavours ideal for the mobile DJ industry. Truesonic line of speakers are available in 10-inch, 12-inch, and 15-inch, active 2-way speaker setups They also offer powered subwoofers in 12, 15, or 18-inch configurations. We find these speakers very powerful for there size with an 800 watt Class D lightweight (fan-cooled) internal amplifier which makes them very light to move around.